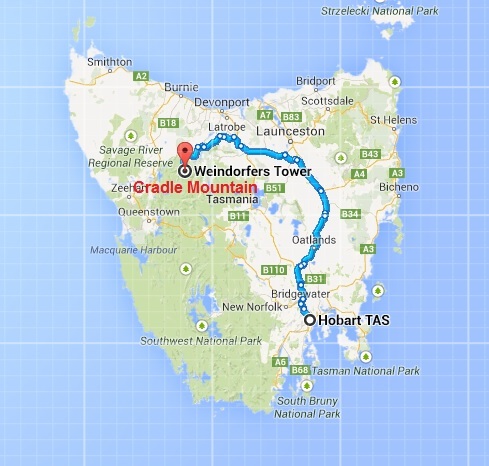 I picked up a rental car in Hobart and took off immediately – I had a 4-5 hour drive ahead of me. The first stretch was an easy go, driving the main highway up to Launceston. After that it was smaller roads and hilly, windy roads the rest of the way. 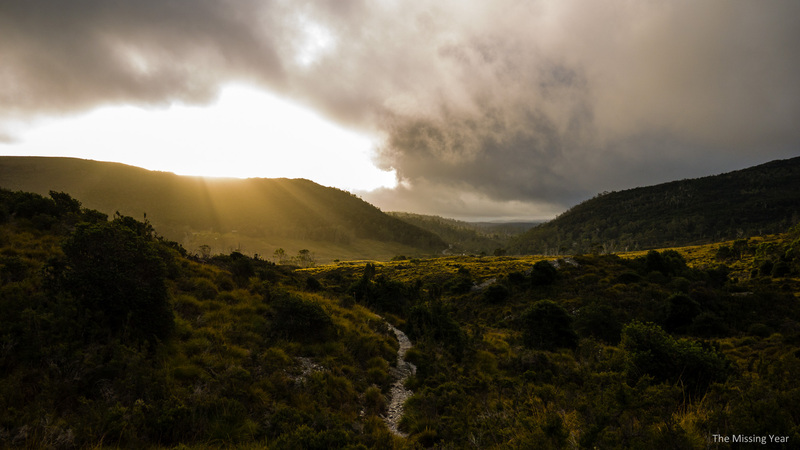 With winter still in full effect, daylight hours of Tasmania were relatively short so I didn’t have time to dawdle. 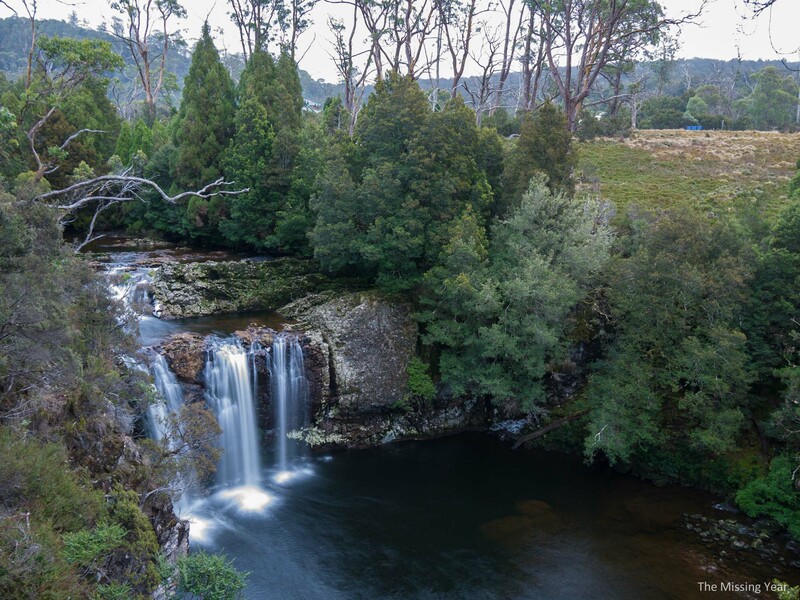 I made it to Cradle Mountain by mid afternoon, quickly checked into my cute cabin, dropped my gear and my car and took the shuttle into the National Park, looking forward to my first views of the iconic mountain. I was to be denied those views. 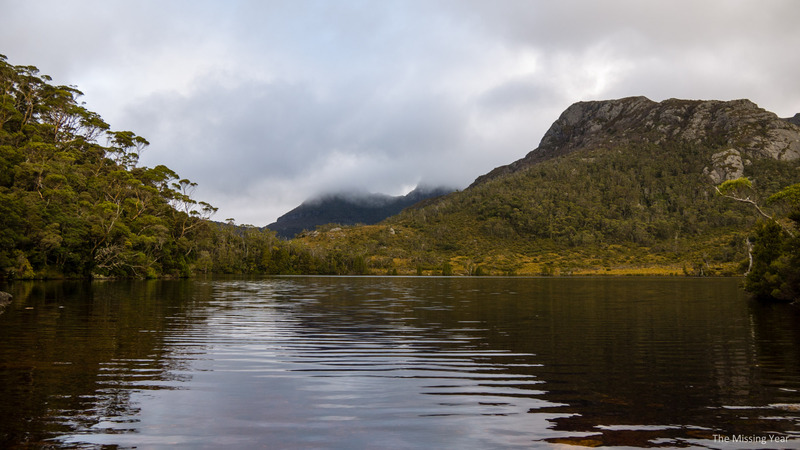 Still a very picturesque spot, Dove Lake stretched out before me with Cradle Mountain covered by clouds in the distance. As I only had a few hours of daylight left before the last shuttle headed out of the park, I opted for a nice walk from Dove lake back to the Cradle Valley and a different shuttle pick up spot. 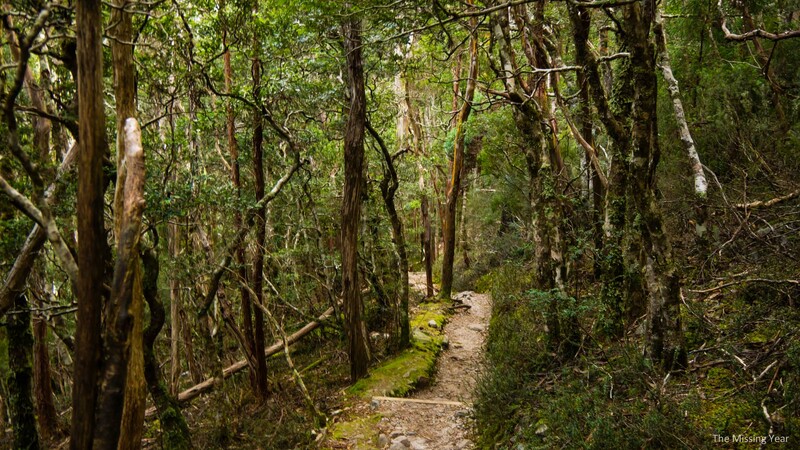 The hike was lovely, with varied scenery. 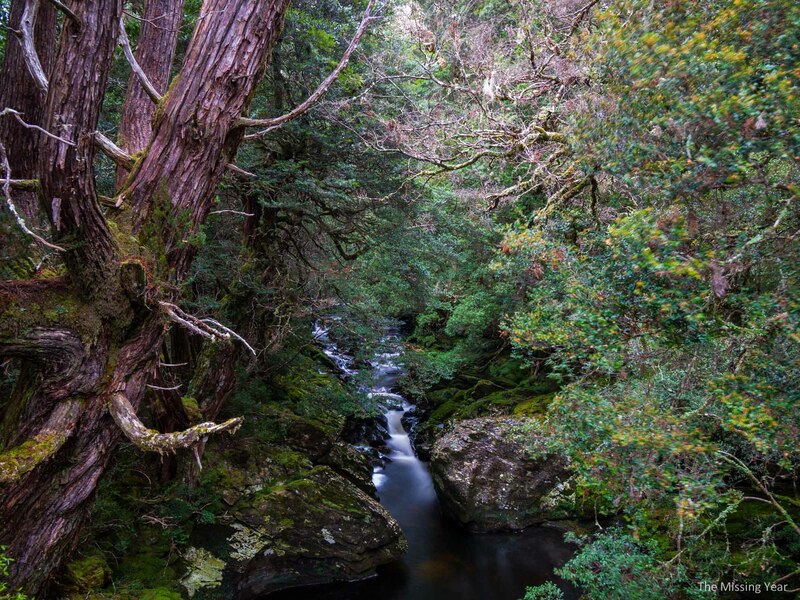 As Cradle Mountain and Valley are quite high in elevation (around 900m above sea level for the valley), vegetation can be quite small at times, allowing lots of nice views. Heading back out to the valley in the failing sunlight of the day. You can just make out the road in the distance at the center of the picture – that was my destination for pickup. The best part of hiking around dusk? Wildlife! Much of the wildlife here is nocturnal, so they start coming out once the sun starts settings. A definite bonus to being here in the offseason (winter)! 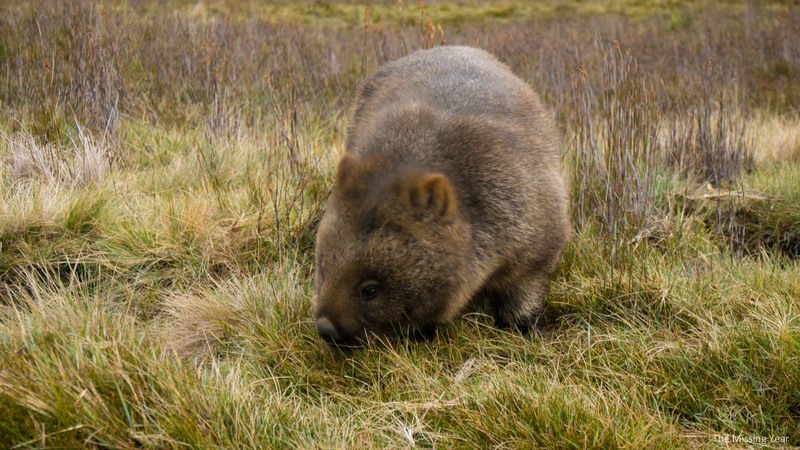 And yes, there were wombats a-plenty. 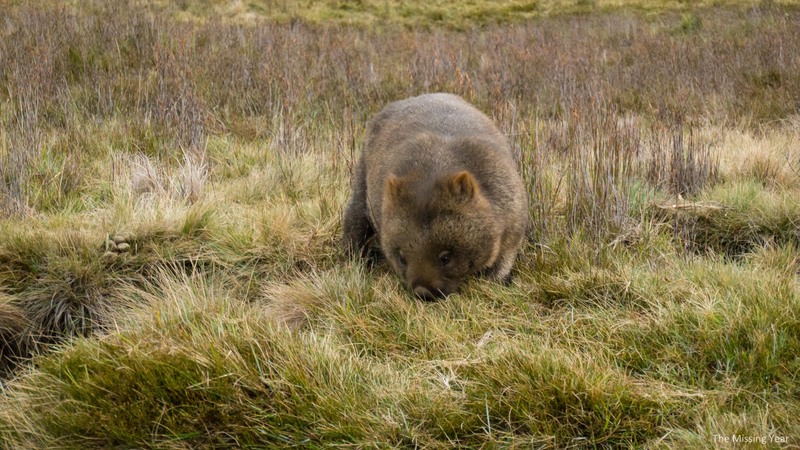 Some of the wombats here were full grown, and SIZEABLE. When you are over 20kg of muscle and bone,you don’t seem to care much that a Canadian is taking pictures of you. This one just kept wandering slowly towards me, grazing as it went. Very cute and fluffy! 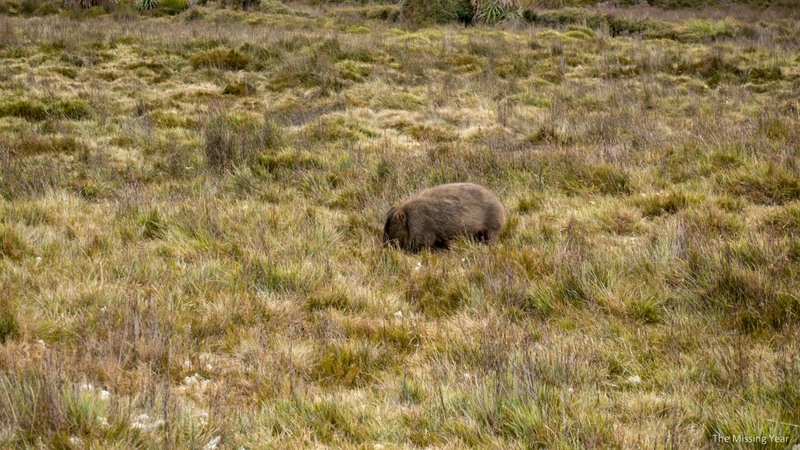 But alas I had a bus to catch so I couldn’t spend TOO much time with the many wombats on the hills in the valley (I saw at least 10). I caught the bus back to the village, but got off one stop before mine to do some more twilight hiking. Near some of the resorts/cabins there was a lovely little riverside walk to go along. Lots of greenery and scenery to take in. And by the time I finished it was fully dark. The wildlife was out in full force by now, with Pademelons abound. 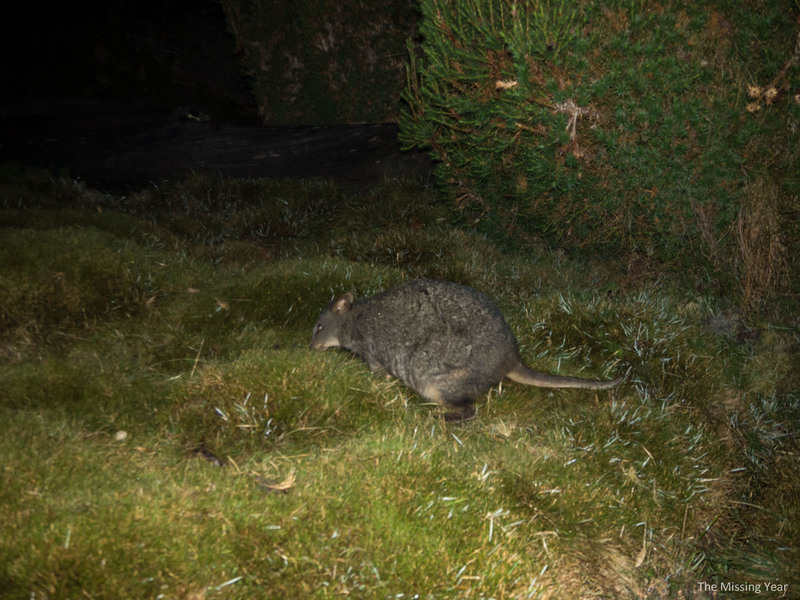 These look like massive, 5-10kg hopping rats, but I thought they were rather adorable. They are related to Kangaroos and Wallabies, just smaller sized. 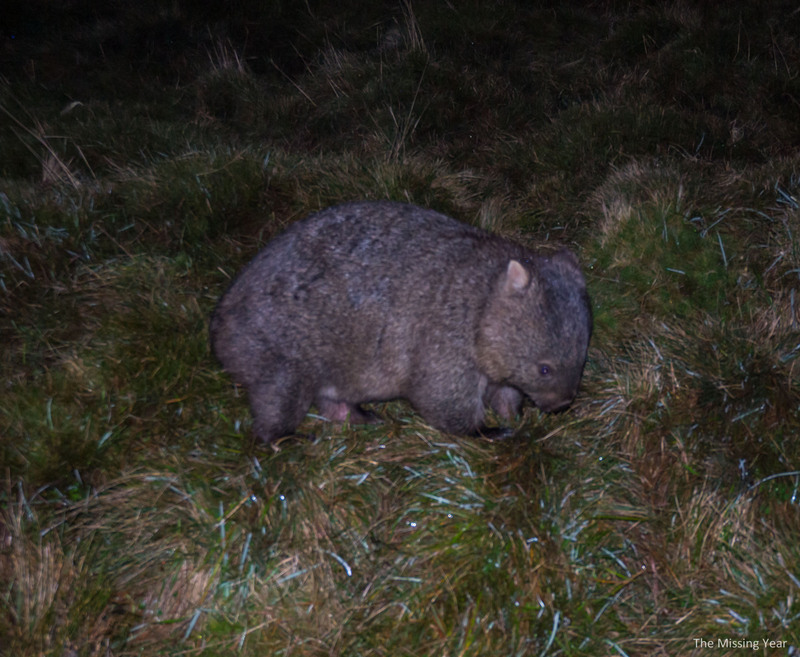 And there were wombats on the prowl at night as well, chewing up grass as they went. After all the travel, excitement of wildlife and hiking, I concluded the long walk back to my cabin and settled in for the night. 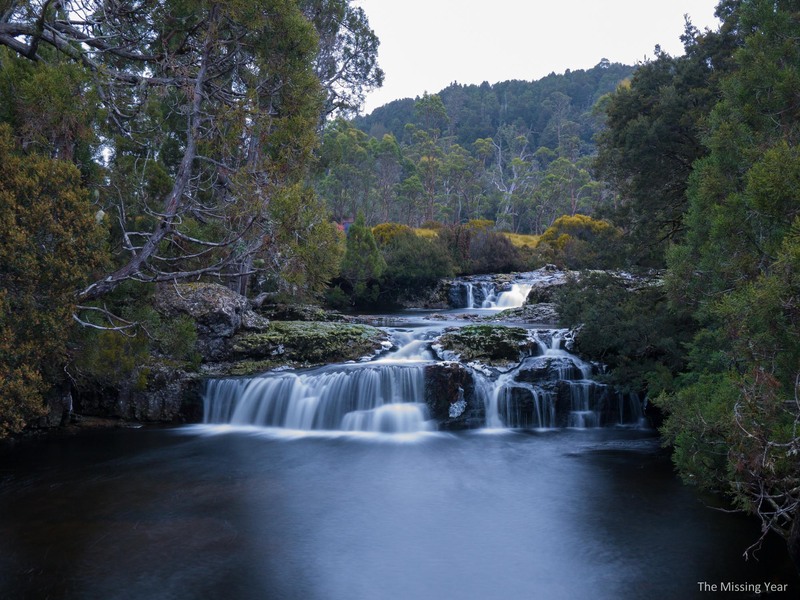 I had lots more to do the next day around Cradle Mountain, so I’d need the rest! 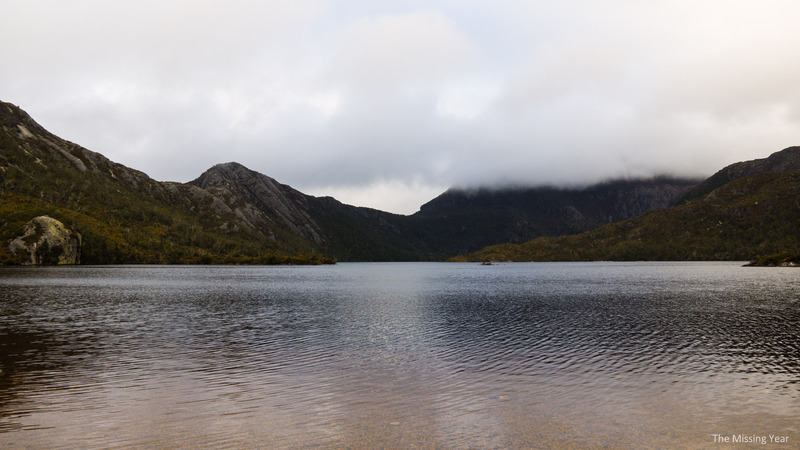 I loved the scenery around Cradle Mtn. and your wildlife night photography was great.